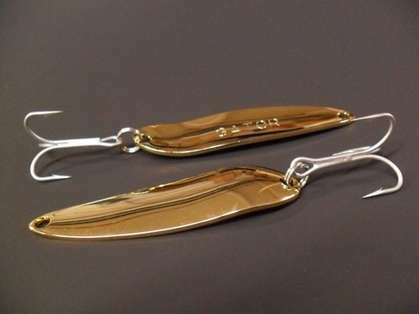 Gator Spoons are made from highly polished 304 stainless steel or are 24 karat gold plated. Gator Lures cast like lightning, then dart and wiggle like bait. Gator Lures have been making quality lures since 1976. I personally prefer Kastmaster Types, but i always have a few of these in my arsenal when I'm trying to catch some good bait or trying to get some chum for sharking. They work great if tied on the end of a Sabiki. Wavy body shape make it swim with wobble action. pretty lure also catches blue gator..
Great for small blues and white perch! I use the smallest one for white perch and it's great! 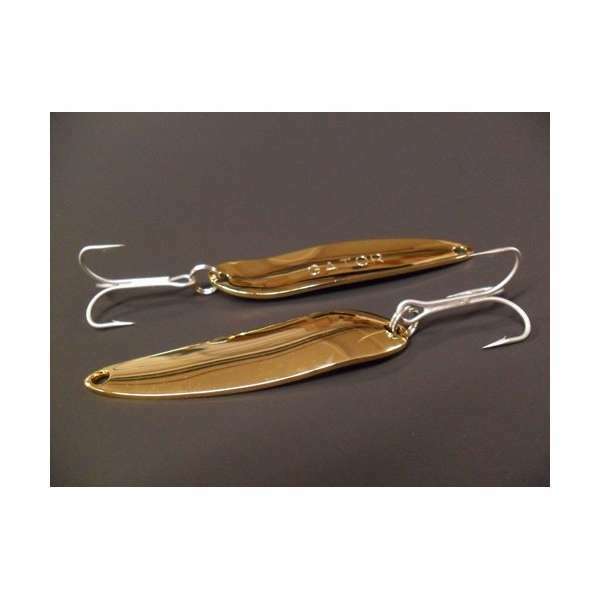 can you use this lure for inshore saltwater fishing?